When any of us recall our favorite Arnold Schwarzenegger movies, we tend to bring up his more iconic offerings from the 1980’s and early 1990’s. Although Raw Deal will likely continue to be criminally overlooked, the likes of The Terminator, Commando and Total Recall are often among the most fondly remembered. But, if you repeatedly find yourself in a situation that requires you get to the chopper with haste, then Predator is probably the action flick for you. That being said, we’re all aware that whenever a beloved franchise is revived on the big screen these days it’s not uncommon for the filmmakers to try to lure familiar actors from the originals back, be it in a large role or a mere cameo. 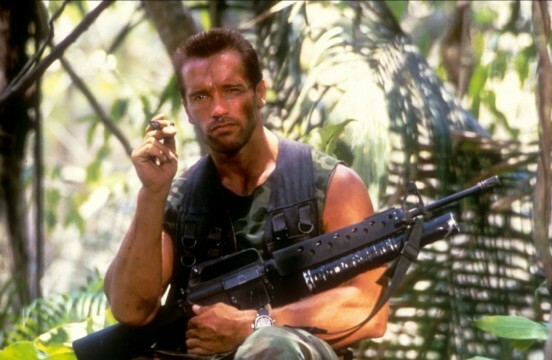 As such, Schwarzenegger has been brought up in conversations pertaining to the next Predator movie. Knowing that Schwarzenegger had a very sizeable part in Terminator: Genesys, it does seem like he’s not ready to take a back seat to anyone, no matter what age he is. In fact, a recent Tweet from Black seems to support the above statement. @iamJermaineP @MPredator24 Me too… I spoke with him, I think it was that he didn't have enough to do. Enough presence in the film. No matter the outcome, The Predator is still on track to arrive in theaters on February 9th, 2018.